Hair plays a very important role in a human’s psyche, be it for a woman or even a man. For women specially, having a ‘bad hair day’ is upsetting enough; losing hair completely is a terrifying thought. I now have an understanding of how it really feels having seen my own aunt go through chemotherapy sessions and losing her hair and her self esteem, as a result of it. 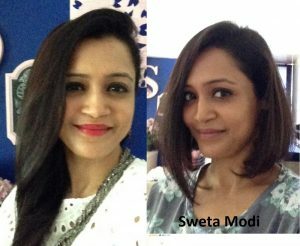 Cope with Cancer- is doing a superlative job in all-round support to cancer patients and their families.<!–more–> So when I heard that they are accepting hair to make wigs to distribute them to economically challenged patients, i thought this is my chance to show my support. Plus it gave me an excuse to go for a totally new look and i couldn’t be happier with it. I hope that more women come forward and contribute to this great cause. There is no greater joy than in knowing that something that we consider as precious as our hair will make a whole lot of difference to someone else too. Wish you all tremendous success.